As incredible as it might seem, there was a time when Congress worked—a time when partisan competition produced consensus and good public policy. 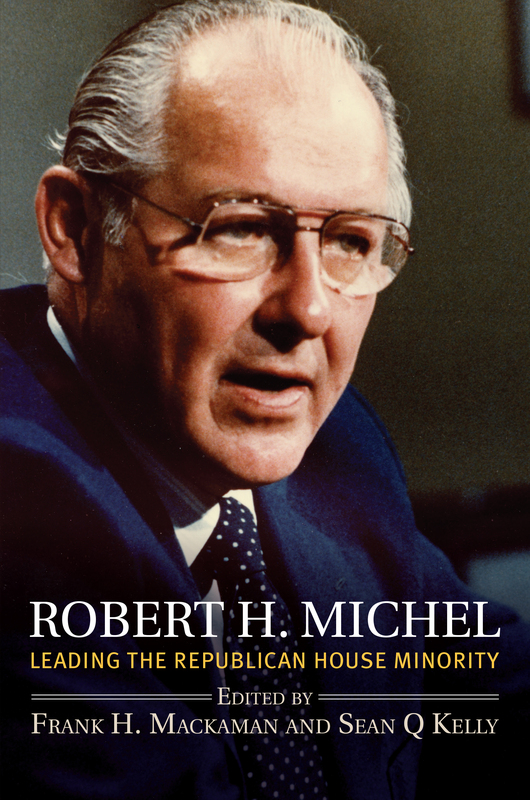 At the center of it all, for four decades, was Robert H. Michel, the longest-serving Republican leader in the history of the US House of Representatives. In this book, top congressional scholars, historians, and political scientists provide a compelling picture of Bob Michel and the congressional politics of his day. Marshaling a wealth of biographical, historical, and political detail, they describe Michel’s House of Representatives and how the institution became what it is now. During the thirty-eight years that Michel represented Illinois’s 18th congressional district (January 3, 1957–January 3, 1995), the last fourteen as Republican leader in the House, his party was in the minority. Drawing on archival material that captures politics in the making, the authors of this volume show how Michel made the most of that minority status. They write about his legislative efforts, as with President Ronald Reagan’s tax cuts and President George H. W. Bush’s North American Free Trade Agreement negotiations. The resulting friction between Michel’s leadership on the national stage and his responsibilities to constituents back home almost cost him reelection in 1982, forcing a change in his “home style.” Their essays also cover Michel’s strategies for House minority leadership, his party’s proposals to reform the House, and his retirement one election before Republicans became the House majority party—the result of a generational and ideological shift to a more combative style of politics practiced by Michel’s successor, Newt Gingrich. An innovative approach to biography, with its examination of Bob Michel’s career from a variety of angles, this volume offers both an unusually nuanced portrait of one important politician and a uniquely informed perspective on politics in the latter half of the twentieth century. Frank H. Mackaman, who directs the work of The Dirksen Congressional Center, is the editor of Understanding Congressional Leadership and the coauthor, with Ray LaHood, of Seeking Bipartisanship: My Life in Politics. Sean Q. Kelly is professor and chair of Political Science at California State University Channel Islands. He is the coauthor, with Scott A. Frisch, of many works, including Committee Assignment Politics in the U.S. House and Jimmy Carter and the Water Wars: Presidential Influence and the Politics of Pork.